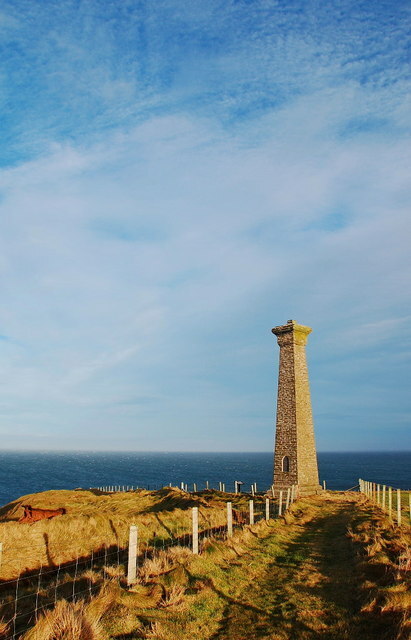 The Covenanter’s Memorial at Deerness stands as a reminder of the 200 lives that were lost in the sinking of the Crown of London. The events of early 1679 that led to the ultimate sentencing and death of John Waddel, though horrid, was not the last of the trials to befall the Waddel. There is another Waddel who is generally understood to be the progenitor of the Waddel line that eventually made its way through Northern Ireland, and to North America. This man, William Waddel, was the son* of John Waddel, and, likely present at the events of Bothwell Bridge, was taken prisoner among the 1200 others in his state. 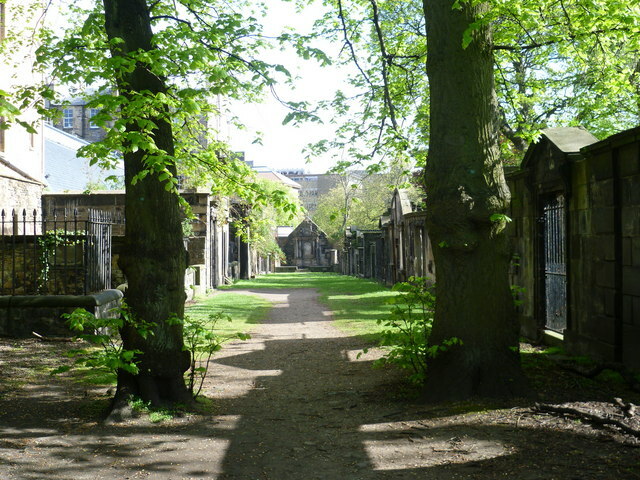 From there, he and his fellow Covenanters were taken to be held at Greyfriars churchyard in Edinburgh. After months of brutality, a portion of the Covenanters that had remained (those who refused to deny the Covenant, and also those who survived the conditions of imprisonment), were set to be boarded onto a slave ship set for the Americas. On a cold December night, just off the coast of the Orkney Islands, the ship, known as “The Crown of London,” drowned, and with it, most of the Covenanters aboard. There were few who escaped, outside of the Captain and his crew, but indeed there were about fifty who survived, and of those, William was one. * Some sources also indicate that William may have been a brother. I am led to believe, through my own study and research of multiple sources, that William being the son of John seems most probable, especially in consideration of chronology, and by primary sources from within the century following the events that relegate his identity to being the son. There, many prisoners were offered freedom if they agreed to never again take up arms in rebellion. Some agreed, while many refused and instead sought to persevere in their ill circumstance. 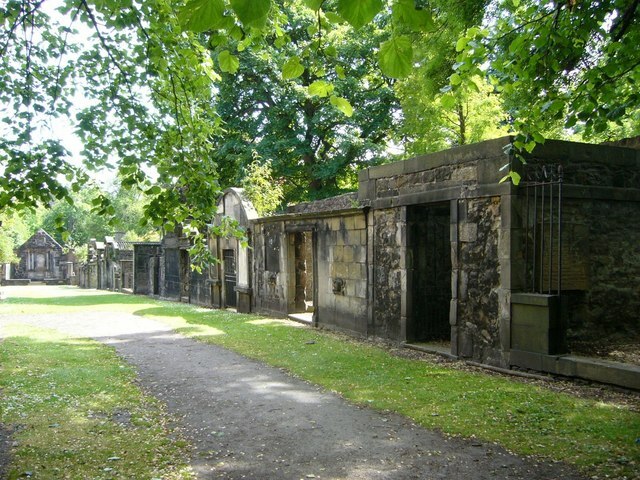 Another view of the kirkyard-turned-Covenanter-prison. Sentinels guarded them day and night. They were exposed to sun and rain, wind and weather; for there was no covering above their heads – none at least until, with the approach of winter, some wooden huts were erected, “mightily boasted as a great favour.” Their bed was the bare ground. They were poorly fed, and it was next to impossible for friends to convey any comfort to them. In this plight they lived “a life half dead, a living death, and buried,” until the dreary weeks of November. A few hundreds had been freed on their pledge to desist in the future from armed resistance; here and there one, more fortunate than his comrades, had gained the goodwill of his gaolers; some had contrived to escape across the churchyard walls; some were dead. Only two hundred and fifty-seven remained out of the twelve hundred. Early one November morning, they were marched by a party of soldiers from the Greyfriars to a vessel, the Crown, lying in Leith Roads; the Privy Council had decreed that they should be banished to the West Indies, and sold for slaves. On board the ship their pains came to a climax. They were crowded under deck in a space not sufficient to hold one hundred people. Those with some health were forced to continue standing, that the sick and dying might lie down on the hard boards. Hour after hour, in the poisonous air, many fainted away. “All the troubles we met since Bothwell,” one of them, James Corson, wrote to his wife, ” were not to be compared to one day in our present circumstances. Our uneasiness is beyond words. Yet the consolations of God overbalance all; and I hope we are near our port, and heaven is open for us. There is much speculation on the small details that led to the tragedy. Many have thought it curious that a ship would be making passage northward at such a time, with its supposed destination being curiously unusual for the time of year. Others have speculated that the Captain was rumored to have been compensated for each body that did not make it to the destination. It has also been suggested that the ship, filled with prisoners, was never meant to make it to the Americas. A fully-laden vessel, travelling the northern routes at that time of the year was bound to run into trouble, especially when it had no provisions adequate for such a major voyage. 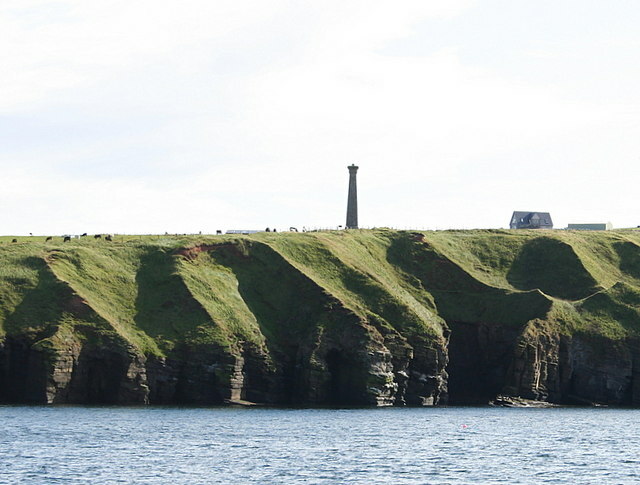 The people of Orkney were told that the prisoners were rebels fleeing from justice, but some are said to have escaped capture. Tradition has it that some survivors made it to Stromness, where they found passage on a ship to Holland. 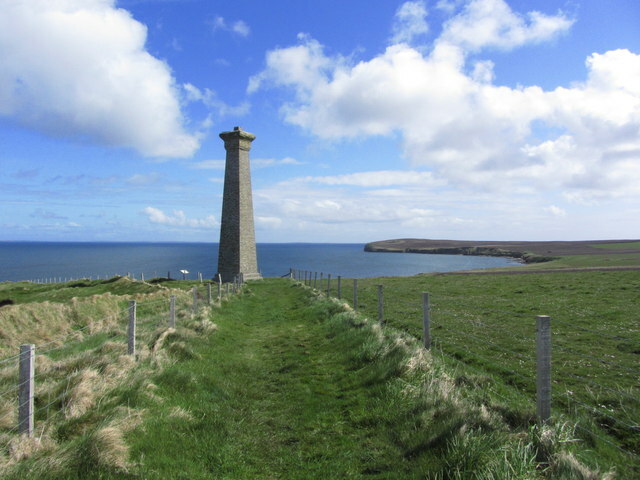 Local tradition also dictates that some were permitted to settle in Orkney. In the collection of historical sketches, The Scotch-Irish in America, proceedings of the Scotch-Irish Congress, a small account is excerpted which begins with a quoted portion of The Cloud of Witnesses, and relays a brief sketch of the prominent Waddels of the era which were descended of William. “…of the prisoners taken at Bothwell were banished to America, two hundred and fifty, who were taken away by Patterson, a merchant of Leith, who transacted for them with Provost Milus Laird, of Branton, the man that first burnt the covenant: whereof two hundred were drowned by shipwreck at a place called the Mulhead of Darness, near Orkney, being shut up by said Patterson’s order beneath the hatches. Of the two hundred and fifty, fifty escaped. The fifty men who escaped made their way into the North of Ireland, and were not further troubled.” Among them was William Waddell, of Monkland. The descendants of William Waddell who came to America in the eighteenth century were Gen. Hugh Waddell, of the colony of North Carolina…Rev. James Waddell, of Virginia, celebrated as the blind preacher…Rev. Moses Waddell of Athens, Ga., and John Waddell of Tennessee—sons* of William Waddell, who emigrated to North Carolina in 1765. *Sons here is used in a general term, not of literal sons. Moses Waddell is the only direct son of William Waddel, who arrived in 1765, listed among the names. For William Waddel the Covenanter, we do not know the intermittent details of how he managed to evade a second capture, or just how he attained passage. We do know, however, that he did eventually make it to Ulster, Ireland and likely settled in what is County Down, Northern Ireland today. In only a few generations, a William Waddel, likely a grandson of William the Covenanter, would be the first Waddel to reach North America. In a unique twist of providence, William Waddel’s search for a better life for himself and his family would lead him across the ocean once meant for his grandfather’s destruction. The shores once determined for punishment now represented a landscape of possibility. © Copyright Colin Park and licensed for reuse under Creative Commons. © Copyright Des Colhoun and licensed for reuse under Creative Commons. © Copyright Ian Balcombe and licensed for reuse under Creative Commons. I write comics, draw penguins, and research family genealogy. Sometimes, all at once. really well done; all of it. Thank you very much James! I’m hoping to add more as my research grows. It’s a fun process to learn of stories past–and to be connected with family in the present because of it! Joanne what an interesting & fascinating article! I am a seventh great-granddaughter of William & Sarah Elizabeth MORROW Waddel(l) via their daughter Mary. I hope do not mind but I have linked this article & the one about Grandfather William to their respective places in my tree on Ancestry. Thank you for reading and commenting (I also don’t mind sharing via links)! I always love to hear from familial connections. And, actually, my husband (this is his tree), might not just be related to you on the Waddel side, but also the Stephenson side. If I recall correctly, Mary married a Stephenson boy, correct? This Waddel line is my husband’s maternal line (his grandfather’s name), but far back on his grandmother’s side, she has a Lucy Stephenson (b ~1795, d ~1877) which marries into her line via husband William Lassiter, and Lucy (as far as a prior tree recorded) is daughter of a Lucy Johnson and John Stephenson, who I am hoping is related to the original Stephensons that came on the ship with the Waddels. This means that my husband’s grandparents’ lines crossed far back in history! And, by that, that you are two-fold related in some manner to the family tree. I am hoping to get that line more sorted out to also write more on it in the near future. Perhaps you have more information on the Stephensons as such to make a more positive ID.